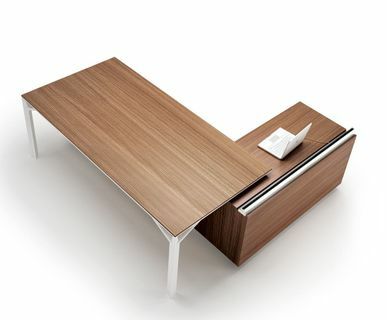 A contemporary company needs a contemporary office desk collection. Look no further than this study in style. Available in a variety of finishes, work surface configurations and accompanied by storage solutions that will please each executive in your C-suite and meet their diverse style while keeping the layout simple.